In the first part of this SCCM 2012 and SCCM 1511 blog series, we planned our hierarchy, prepared our SCCM Server and Active Directory. 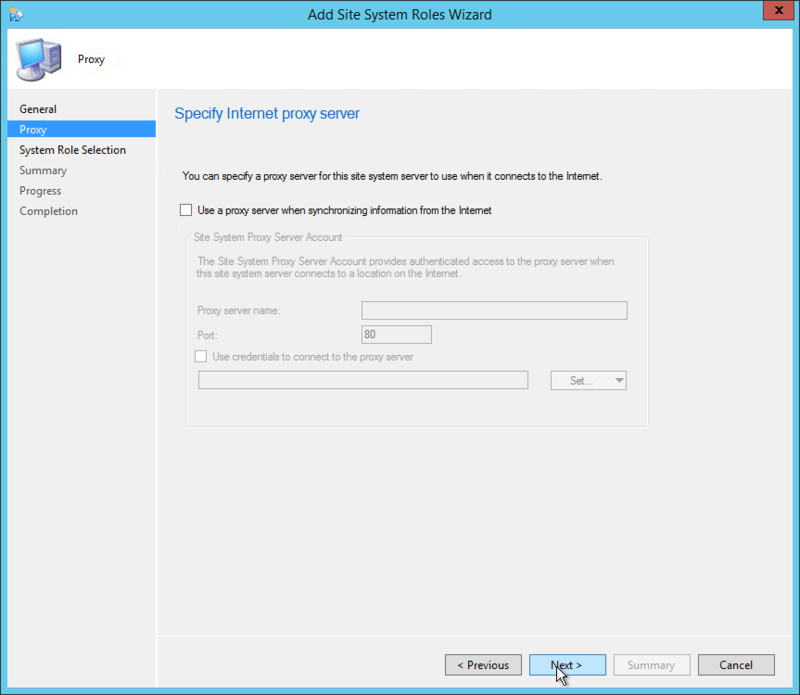 In part 3, we installed a stand-alone SCCM Primary site. 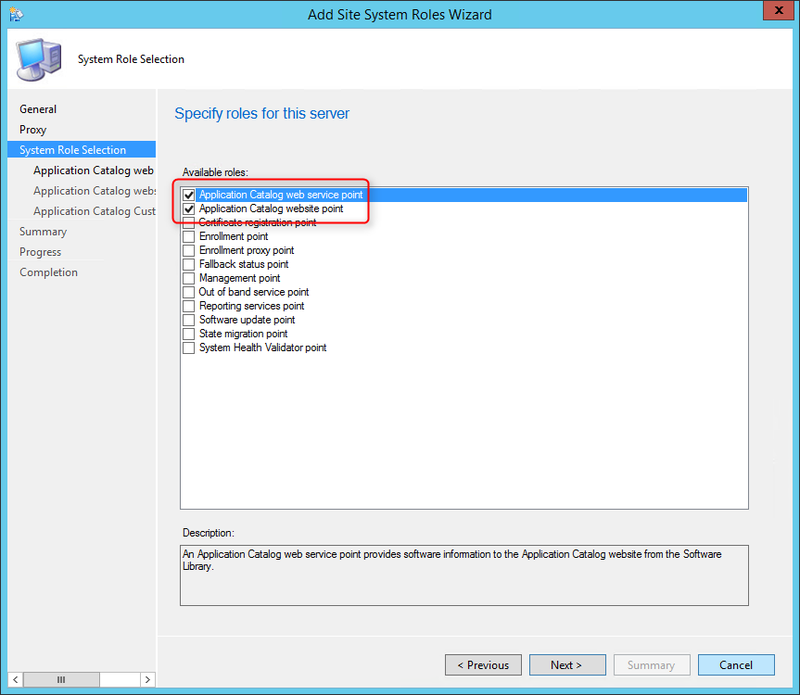 In the next 16 parts, we will describe how to install the numerous site systems roles available in SCCM 2012 R2 and SCCM 1511. 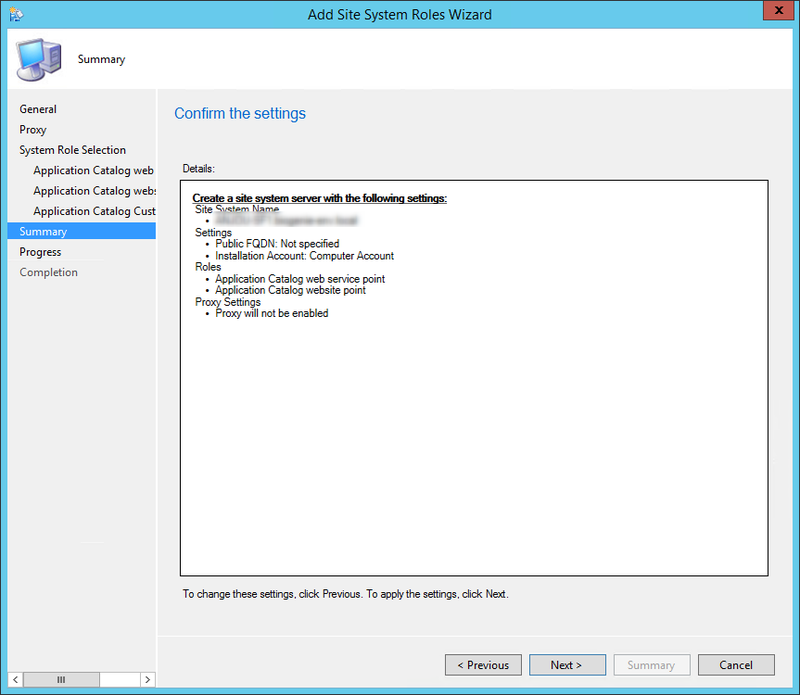 Role installation order is not important, you can install roles independently of others. 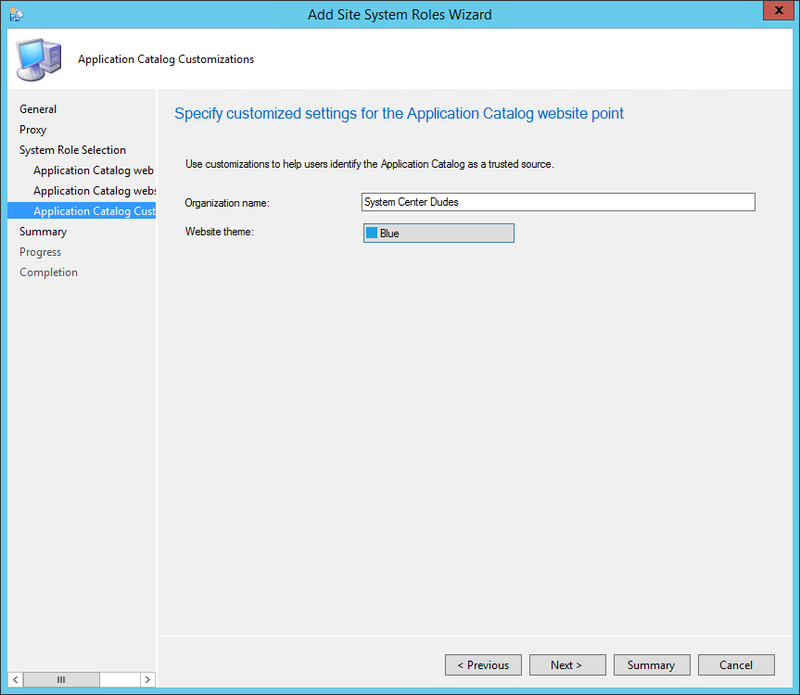 This part will describe how to install SCCM 2012 Application Catalog web service point and the Application Catalog website point. The Application Catalog web service point provides software information to the Application Catalog website from the Software Library. The Application Catalog website point provides users with a list of available software. 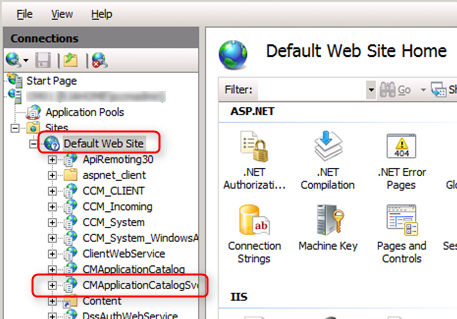 This is not a mandatory site system but you need both the Application Catalog website point and the Application Catalog web service point if you want to provide your user with a Self-Service application catalog (web portal). The Application Catalog web service point and the Application Catalog website point are hierarchy-wide options. It’s supported to install those roles on a stand-alone Primary site or child Primary site. It’s not supported to install it on a Central Administration site or Seconday site. The Application Catalog web service point must reside in the same forest as the site database. 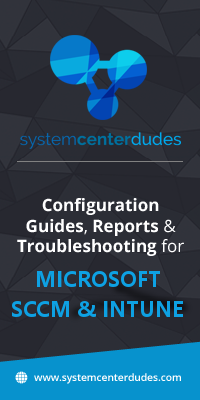 If you’re having less than 10,000 users in your company, co-locating the Application Catalog web service and Application Catalog website roles on the same server should be ok. 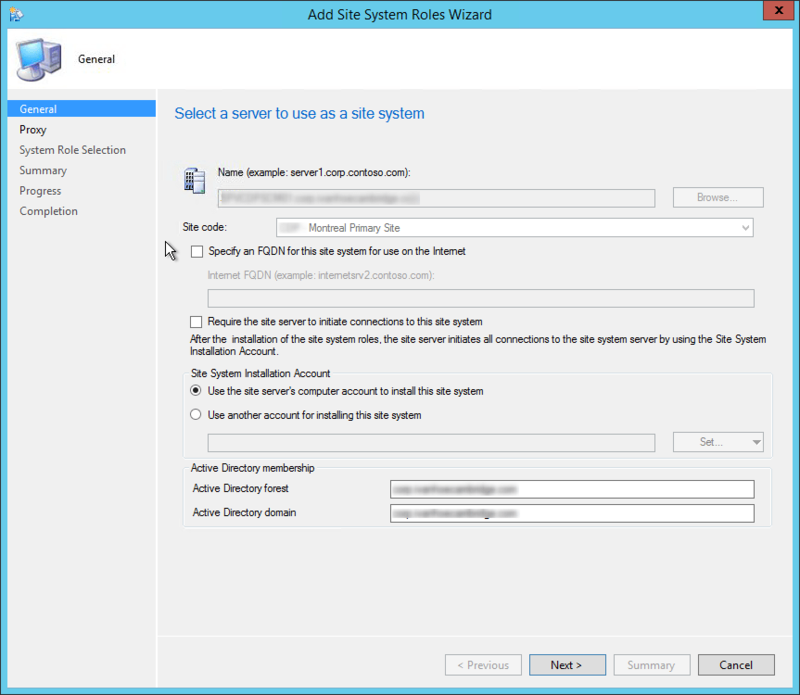 The web service role connects directly to the SCCM SQL database so ensure that the network connectivity between the SQL server and the Application Catalog web service servers is robust. If you have more geographically distributed users, consider deploying additional application catalogs to keep responsiveness high and user satisfaction up. 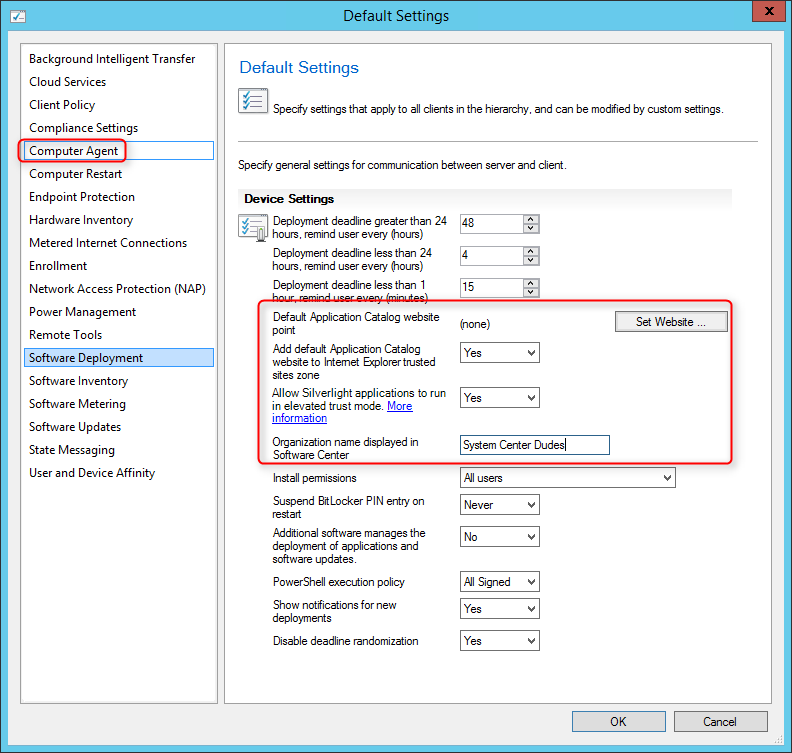 Use client settings to configure collections of computers to use different Application Catalog servers. Read more on how to provide a great application catalog experience to your user in this Technet blog article. If your client needs HTTPS connections, you must first deploy a web server certificate to the site system. If you need to allow Internet clients to access the application catalog, you also need to deploy a web server certificate to the Management Point configured to support Internet clients. 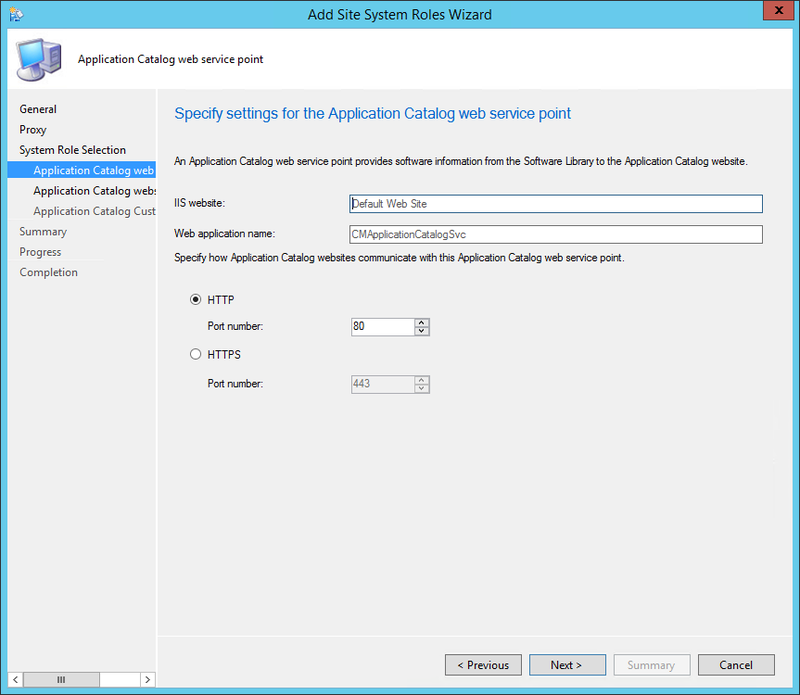 When supporting Internet clients, Microsoft recommends that you install the Application Catalog website point in a perimeter network, and the Application Catalog web service point on the intranet. For more information about certificates see the following Technet article. For this post we will be installing both role on our stand-alone Primary site using HTTP connections. 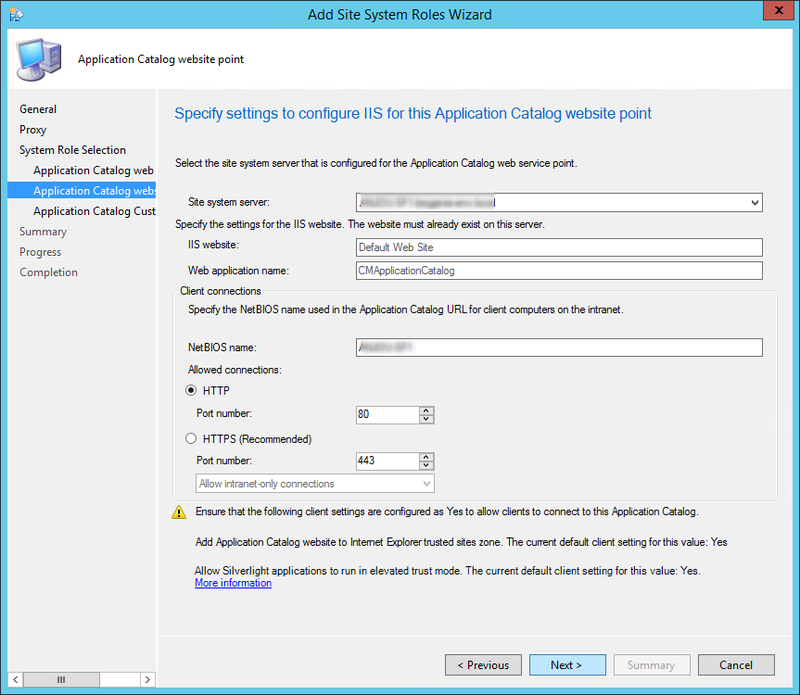 If you split the roles between different machine, do the installation section twice, once for the first site system (selecting Application Catalog web service point during role selection) and a second time on the other site system (selecting Application Catalog website point during role selection). The default URL to access the Application Catalog is not really intuitive for your users. The following Coretech article describe how to achieve that. That’s it, you’ve installed your SCCM 2012 Application Catalog, publish the link to your user and start publishing your applications.